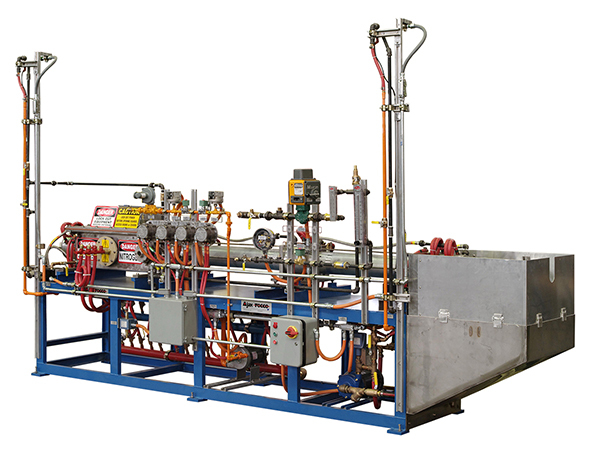 A bright annealing system progressively heats the stainless steel tube to high temperatures in an atmosphere of inert gases, and then anneals the tube in a cooling chamber to reduce the hardness of the steel in order to achieve ductility for further processing. Special features can include the ability to produce a high quality product with a ready-to-ship surface finish. 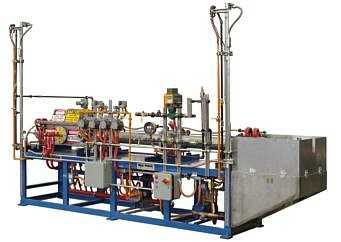 Small diameter copper tubing utilizing a nitrogen atmosphere can be annealed at the rate of 1,000 feet per minute. Ajax Tocco designed systems fit in line with the entire manufacturing process and produce excellant mar-free surface quality. Ajax TOCCO Magnethermic ruggedly designed bright annealing heating chambers with modular graphite cooling section can heat stainless steel tubing in diameters from .25" and up at rates to match welding speeds.